Green Technology is the development and application of products, equipment and systems used to conserve the natural environment and resources, which minimises and reduces the negative impact of human activities. • It promotes the use of renewable resources. 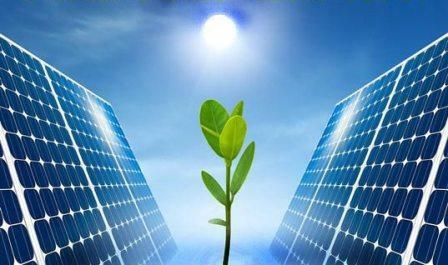 To enhance public education and awareness on Green Technology and encourage its widespread use. • Social - Improve the quality of life for all. i) Energy Sector - Application of Green Technology in power generation and in the energy supply side management, including co-generation by the industrial and commercial sectors. Application of Green Technology in all energy utilization sectors and in demand side management programmes. ii) Buildings Sector - Adoption of Green Technology in the construction, management, maintenance and demolition of buildings. iii) Water and Waste Water Management Sector - Adoption of Green Technology in the construction, management, maintenance and demolition of buildings. iv) Transportation Sector - Incorporation of Green Technology in the transportation infrastructure and vehicles, in particular, biofuels and public road transport. Enhancement of institutional clarity so that all agencies are aware of their respective roles and responsibilities. Establishment of Green Technology funding mechanism. Exploitation of brain gain programmes to strengthen local expertise in Green Technology. Establishment of strong linkages between local research institutions and regional and international centres of excellence in Green Technology RDI. Adoption of Green Technology in all Government facilities and Government-linked entities. Expansion of local research institutes and institution of higher learning to expand Research, Development and Innovation activities on Green Technology towards commercialization through appropriate mechanisms. Expansion of Green Technology applications to most economic sectors. Expansion of international collaborations between local universities and research institutions with Green Technology industries.